Unlike many states, in Washington, the transportation sector emits more than twice as much carbon into the air than the utility sector. But to get more consumers to make the switch to electric vehicles, drivers have to feel confident their mobility won’t be limited by lack of charging infrastructure. It’s classic “chicken or the egg” stuff. Energy Northwest recently finalized agreements to be the lead agency in the Washington state Department of Transportation Electric Vehicle Infrastructure Pilot Project. In partnership with member utilities Benton and Franklin public utility districts and the City of Richland, and participating utilities Benton Rural Electric Association and the City of Ellensburg, EN will oversee the $1 million project to construct a network of publicly available electric vehicle charging stations along Interstate 90, I-82, I-182 and US-395. The central and eastern Washington locations are key to allowing EV owners to comfortably crisscross the state without having to spend long hours recharging their car batteries. The nine charging stations will be located in Kennewick, Richland, Pasco, Connell, Prosser, Yakima, Ellensburg, Cle Elum and George. These will be the first Direct Current (DC) Level 3 fast-charging stations installed in each of these communities. The Pilot Project is an expansion of the West Coast Green Highway, which installed DC fast chargers along Interstate 5, US-2 and parts of I-90. This allowed electric vehicle drivers to travel along the 276 miles of I-5 between Washington’s borders with Oregon and Canada. This program included seed funding from the U.S. Department of Energy with American Recovery and Reinvestment Act dollars and was administered by the Department of Commerce’s state energy program. Energy Northwest, local utilities and the Tri-Cities Development Council formed the Electric Vehicle Infrastructure Transportation Alliance, or EVITA, in 2016 to advocate and support electric transportation infrastructure that would bridge the charging gap between eastern and western Washington. Electric vehicle supply equipment providers Greenlots and EV4 are also participating in the project, along with private property owners and the cities of Kennewick, Ellensburg and Connell. Each station will include one DC fast charger and one Level 2 station for vehicles not compatible with the Level 3 charger. The Level 3 chargers will recharge an electric vehicle in about 30 minutes, much faster than a normal home recharge, which can take eight to 20 hours to fully re-charge. All charging stations will be located within 1.5 miles from an interchange with amenities nearby. In total, the alliance will receive up to $405,000 from the state to reimburse costs of the installation of nine electric vehicle charging stations. The balance of the costs will be supported by the equipment providers, private property owners, and the utilities. WSDOT’s portion of the project is funded by the $50 EV registration for electric vehicle drivers in Washington state. Construction is scheduled to begin this spring with the charging stations functional by the end of the year. Washington state’s electric vehicle registrations increased 37 percent between June 30, 2016 and June 30, 2017. There are more than 30 models of battery electric vehicles and plug-in hybrid electric vehicles available to consumers on the market today, with auto manufacturers offering more in the future. 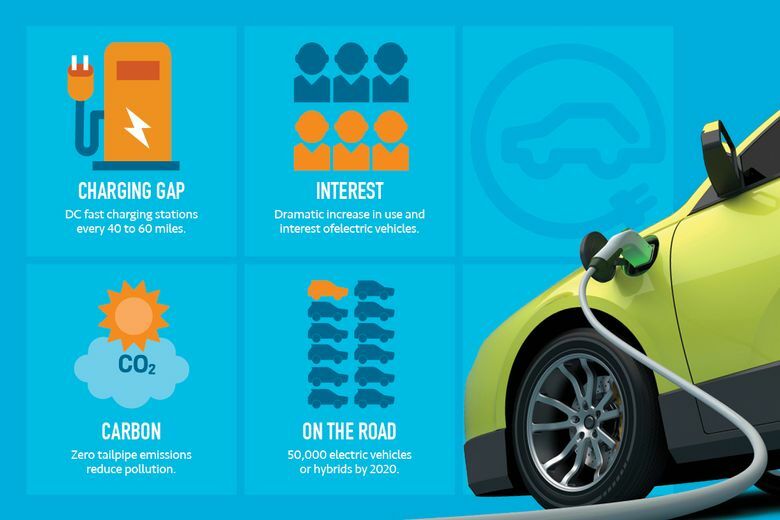 Lease returns are enabling Battery Electric Vehicles (BEVs) and Plug-in Hybrid Electric Vehicles (PHEVs) to enter the used vehicle market at very affordable prices for consumers. Range anxiety, or the fear that an electric vehicle will not have sufficient capacity to reach its destination, has been a hindrance to widespread adoption of electric vehicles. Without convenient high-speed charging stations located 40-50 miles apart, consumers have not had the confidence that they would be able to travel their normal routes in an electric vehicle. Installation of the fast-charging stations by EVITA participants would help eliminate this anxiety, encouraging increased plug-in electric vehicle adoption. Because Washington has one of the lowest carbon footprints from electricity in the U.S., it’s a great place to charge an electric vehicle, which is key to getting the most benefit out of emissions-free vehicles. But that’s not all. Washington also has among the lowest-cost residential electricity rates in the nation. 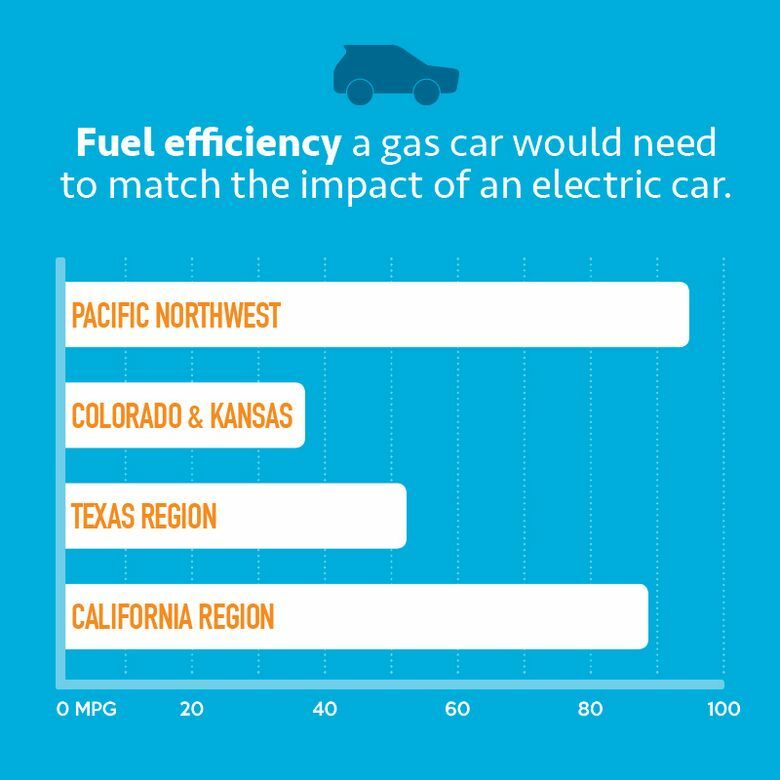 That means charging an electric vehicle can be less than a third of what it would cost to fill the same car with gasoline. Rasmussen hosts a local National Drive Electric event at his farm, which is powered by solar. He supports building up the electric grid infrastructure and electrifying fleets like postal service vehicles and other delivery services. “The opportunities are enormous,” he says. Energy Northwest envisions playing a larger role in electrification. Following the needs of member utilities, further funding opportunities will be explored. This includes the possibility of additional pilot projects, grant opportunities, and developing innovative business models for public utilities to participate in transportation electrification.